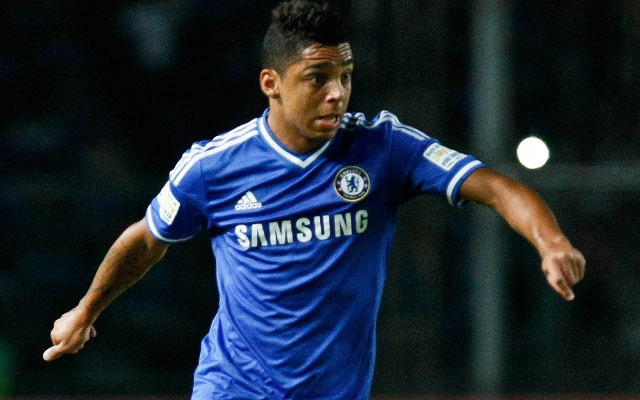 Chelsea defender Wallace has returned to Brazil on an 18-month loan with Gremio. The full-back joined the Blues from Fluminese in 2013 but is yet to make his first-team debut. His fourth loan spell away from Stamford Bridge will keep him in his homeland until June 2017. Wallace, who has been capped by Brazil at U17 and U20 level, spent the first half of this season with newly-promoted Serie A outfit Carpi, for whom he made seven appearances but only two starts. He also failed to make an impact in Italy with Inter Milan in 2013-14, but had a more successful spell with Chelsea’s feeder club Vitesse Arnhem the year after, scoring one goal in 18 outings. The 21-year-old was one of 33 players on loan away from Stamford Bridge at the start of the season, according to The Mirror, and does not seem to have much chance of returning to make an impact. This move to Gremio may signal the beginning of his permanent return to Brazil.